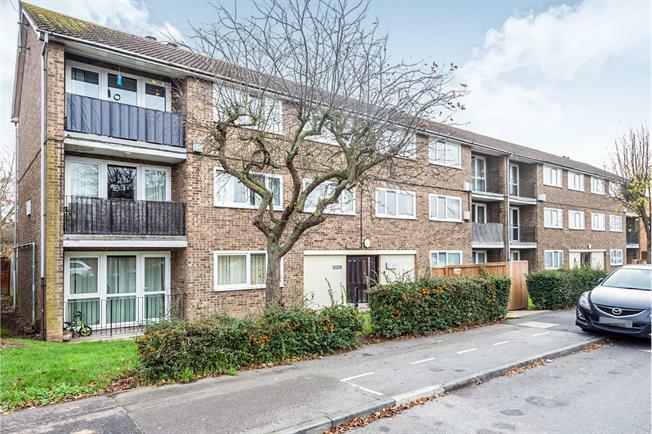 2 Bedroom Flat For Sale in Romford for Guide Price £210,000. First Time Buyers! No Stamp Duty And Low Yearly Charges , Complete With Long Lease. First time buyers, are you fed up with under sized flats with over priced yearly charges? then book an early viewing on this fantastic sized first floor flat. Your new property comes with 95 years remaining on the lease, your ground rent is just 10.00 per year and your service charge only 900.00 per year. Your new property comes with a security entry system and consists of a large lounge dining room with balcony to the front of the property. You also have a modern kitchen and bathroom, both of good size. Your great size home also has two large double bedrooms with built in wardrobes for added storage. Throughout this property there are 6 built in storage cupboards as well as your outside storage cupboards. Your new property comes with a communal garden/washing drying area and ample on street parking to the front of the building.